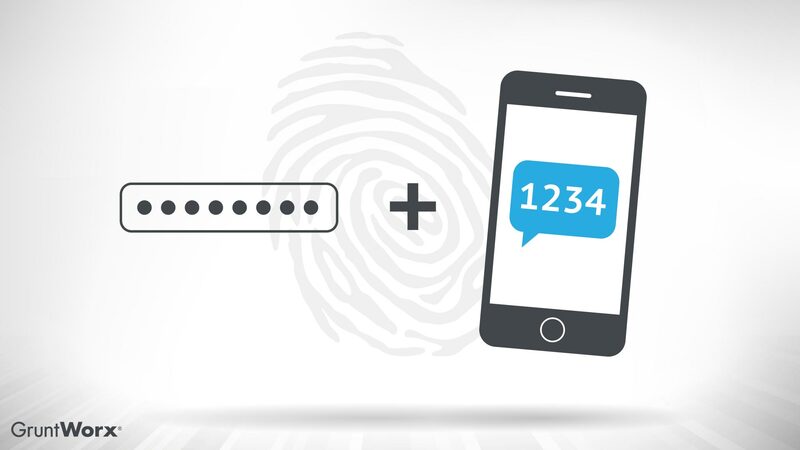 You Should Use Multi-Factor Authentication - GruntWorx, LLC. Since the IRS, state tax agencies, and the tax industry banded together in 2015 to form the Security Summit, data security has been a primary topic for tax professionals. That’s not to say phishing emails, malware, and identity theft scams were new concepts for the industry, but the summit’s formation certainly put a spotlight on these cybercrimes. The latest initiative in this data-security public outreach was “National Tax Security Awareness Week,” which highlighted several ways for you to improve your data security strategies. And one of the often-overlooked gems they discussed is multi-factor authentication. For those unfamiliar with this type of security, it’s actually pretty straightforward; you probably used single-factor authentication to log into your email account this morning: a password. Accounts featuring multi-factor authentication require more than one type of information before they can be accessed. Many web-based email accounts have begun using two-factor authentication, like a password and a numerical code that was sent to a “backup” email address or texted to a designated phone number. And you may recognize another version of multi-factor authentication: security questions. Whether requiring a pre-designated PIN, correct answers to security questions, or a randomly-generated key code on a keychain authenticator (like those used to protect World of Warcraft accounts), every additional factor makes the account harder to crack. And that’s the name of the game: protecting your private data. In addition to following best practices for creating account passwords, knowing how to spot phishing emails, maintaining the most current patches for software, and avoiding suspicious websites, implementing multi-factor authentication is another essential tool for combatting identity and data theft.